This cozy mystery is dedicated to Mary Stewart, and that should tell you something! 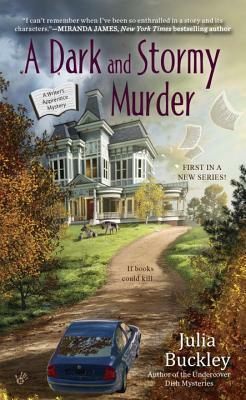 A fan of gothic romantic suspense, the author has done a great job of incorporating the common elements of that genre into a cozy mystery. I’ve always loved Mary Stewart, Phyllis Whitney, Victoria Holt, and similar authors, so I was very excited to hear about this cozy. I was not disappointed. There’s the young heroine, living in an unfamiliar house, the “is he good or is he bad” guy, and the “he must be good but there’s something we don’t like about him” guy, and lots of other suspicious characters for us to distrust. All of these elements, combined with a modern mystery and a likable amateur sleuth, created a story I didn’t want to put down. OOPs that should be many years. Cannot wait to read this. Mary Stewart, Phyllis Whitney and Victoria Holt are also some of my favorites. Have been reading them for may years. Thanks for the review. I think you’ll really like this mystery then!